FSM, Pirates & Space. Statistics at work. This ground-breaking machine, the MegaProcessor, was switched on and handed over to the Centre’s trustees at a special ceremony on November 24, 2016. It has flooded the foyer area with thousands of twinkling red LED lights just in time for Christmas! Building the MegaProcessor has cost its Cambridge creator, James Newman, in excess £40,000 ( $51,000 ) and taken over four years to complete. 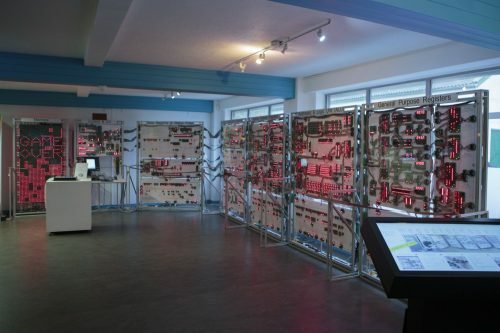 The MegaProcessor uses over 10,000 LEDs and has well over a quarter of a million solder joints! Ever since the earliest days of computing, scientists and engineers have focused on building ever smaller, faster and less expensive machines than the previous generation. 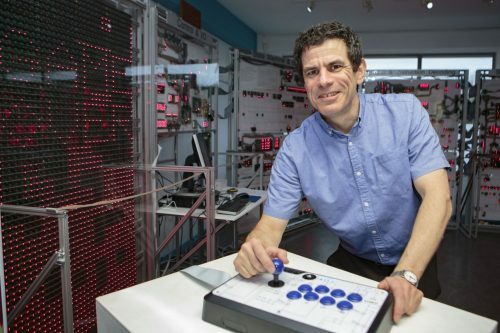 Now Newman has ventured in the reverse direction and created a fully functional central processing unit (CPU) built to human scale, with LEDs that light up at every stage of the computational process to show how data moves across a CPU as it executes a program. Centre Director, Jason Fitzpatrick said: “We are overwhelmed by James’ generosity in donating this fantastic Goliath of a machine to the Centre. It’s the best Christmas present ever! The MegaProcessor is absolutely unique. There’s nothing else quite like it in the world. As such, it has already attracted a lot of international attention.